The London Pubs Group was established in the early 1990s to promote the preservation of historic and architecturally important London pubs. 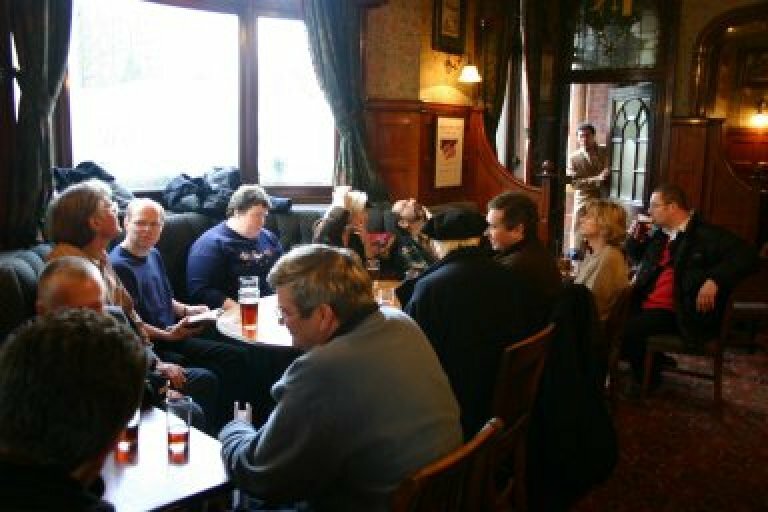 Meetings are held regularly (six times a year) and are open to any CAMRA (Campaign for Real Ale) members who wish to attend. At present the meetings are held at The Royal Oak, Tabard Street, SE1 (near Borough underground station). Crawls are also arranged about six times a year and are open to all, whether CAMRA members or not. The crawls usually concentrate on historic pubs but occasionally new or refurbished pubs are included in order to assess the quality of the design. 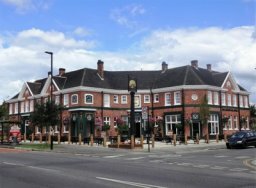 JD Wetherspoon's Greenwood Hotel in Northolt has won CAMRA's Pub Design Award in the Conservation category. Jane Jephcote, Chair of CAMRA's London Pubs Group and member of the Pub Design Awards judging panel presented a certificate at the Greenwood Hotel, Northolt, on Saturday 31 March. 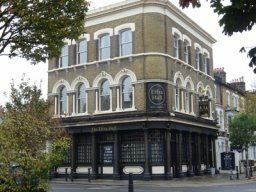 As well as the Greenwood Hotel, London pubs also won two other awards - The Fitzroy Tavern, Fitzrovia, won the Refurbishment award after Sam Smith's Brewery restored it to its late Victorian glory, and the Sail Loft, a newly built Fuller's Brewery waterfront pub in Greenwich, won the rarely given New Build award for its tasteful modern design. Well done all three. Saturday 22 June 2019. Whetstone and Enfield. 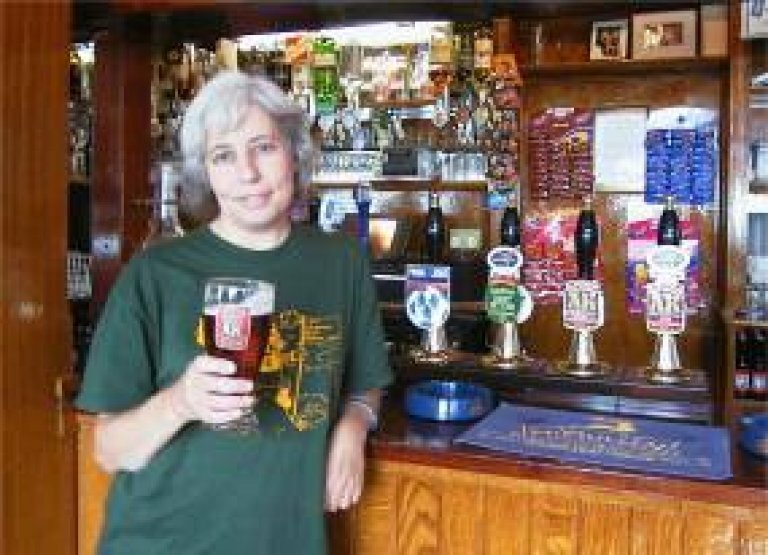 The CAMRA Pub Heritage Group (PHG) maintains a record of those pubs that contain interiors of historic importance. They are separated into three categories: those with an interior of National Importance (NI); those with an interior of Regional Importance (RI); and those with an interior of Some Regional Importance (SRI). The London listings are split into seven geographical areas, and the links to this magnificent seven are here: Central; East; North; North West; South East; South West; West. Many historic pubs in the capital have been closed down for redevelopment spelling the loss of centuries of heritage. The Lords introduced an amendment to the Neighbourhood planning Bill that would remove certain permitted development rights. The Government adopted the changes, bringing them into force by way of a Statutory instrument. Thus with effect from 23 May 2017 owners or developers were prevented from demolishing a pub, or changing its use to anything else, without first obtaining planning permission. This was a massive campaigning success. Articles on heritage pubs are always welcome. We currently have a number of articles including one on the artist Mick Smee, who has produced a number of paintings of heritage pub interiors. If you wish to submit an article and/or a photo for this page, please e-mail them to Jane Jephcote at ku.gro.puorgsbupnodnol@ofni.